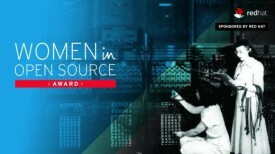 Sarah Sharp, an embedded software architect at Intel, and Kesha Shah, a student at Dhirubhai Ambani Institute of Information and Communication Technology, were named the winners of Red Hat’s first Women in Open Source Awards at the Red Hat Summit in Boston on Tuesday. The Women in Open Source Awards recognize women in two categories – Community and Academic – who make important contributions to open source projects and communities, or who promote open source methodologies. Sharp won in the Community category for her tireless efforts in improving communications and women’s roles in the open source community. Sharp is a co-coordinator for Outreachy — formerly the Outreach Program for Women — which helps underrepresented groups get involved in open source software projects. Sharp is also an outspoken proponent of improving communications among Linux kernel developers and making open source communities more civil, collaborative, and welcoming. 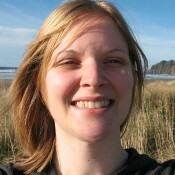 Sharp was the author and former maintainer of the Linux USB 3.0 host controller driver, and she is a developer of amateur rocket software and hardware for the Portland State Aerospace Society. Shah, a full-time student, won in the Academic category for her outstanding coding and mentoring work while studying information and communication technology. Being part of Google Summer of Code program multiple times, Shah contributed to three open source organizations, Systers – an Anita Borg Institute, BRL-CAD and STEPcode. 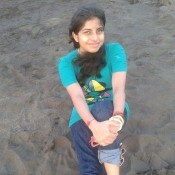 Shah, currently the director of Women Who Code in Gujarat, India, also mentored at Season Of KDE, Learn IT Girls! and Google Code-In, helping students from across the globe develop their first open source contributions. She was a recipient of the prestigious Google Anita Borg Memorial Asia-Pacific Scholarship, and Anita Borg Pass It On winner for teaching basic computer and smartphone technologies to middle-aged women, especially mothers in her province. opensource.com — Sharp’s article is by Rikki Endsley and Shah’s article is by Jen Wike Huger. Sharp also received complimentary registration, flight, and hotel accommodations to attend Red Hat Summit, and will speak at a future Red Hat Women’s Leadership Community event. Ten finalists for the Women in Open Source Awards were chosen by a panel of nine judges. Sharp and Shah were chosen by members of the open source community, who cast their votes over a period of several months.